1976: Days of our Lives' Doug and Julie were finally married. 1985: John Sanderford joined Ryan's Hope as Frank Ryan. 1990: Dutch soap Goede Tijden Slechte Tijden premiered. 2003: Kelly Monaco debuted as Sam McCall on General Hospital. 1968: On Another World, seething with anger after a fight with his mother, Liz (Audra Lindley), Bill Matthews (Joseph Gallison) crashed his car. 1976: On Days of our Lives, Doug Williams (Bill Hayes) and Julie Olson (Susan Seaforth Hayes) were married. Williams on Days of our Lives. You can get a glimpse of the wedding in the montage below, which includes memorable Days ceremonies during the show's fist 25 years. 1979: On As the World Turns, Kim Stewart (Kathryn Hays), Grant Colman (James Douglas), Tom Hughes (Tom Tammi) and Nancy Hughes (Helen Wagner) were concerned about Lisa's (Eileen Fulton) move to the Willows. 1984: On One Life to Live, Dan asked Dorian Lord (Robin Strasser) if he could spend the night with her, but she kissed him on the cheek and told him there had been a misunderstanding. 1985: John Sanderford made his first appearance as Frank Ryan in Ryan's Hope. He was the fifth and final actor to play the role. 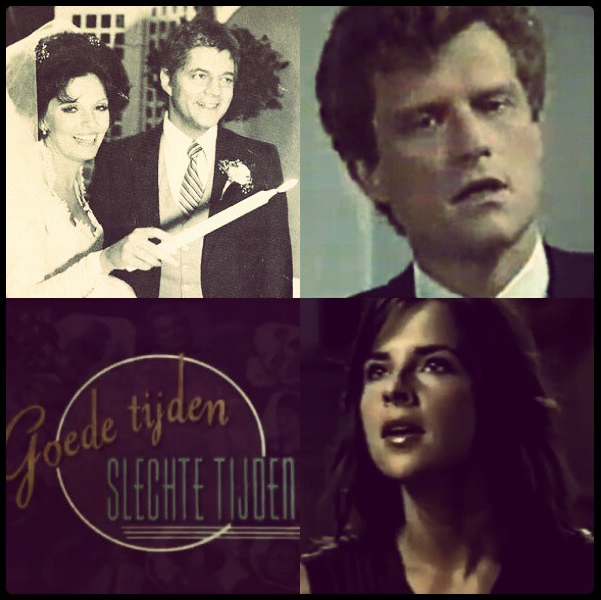 1990: Dutch soap opera Goede Tijden, Slechte Tijden (Good Times, Bad Times) premiered. It was the first daily soap in the Netherlands and has continued to this day. 1992: German soap Marienhof premiered. The show ran until on June 15, 2011. 2003: Actress Julie Parrish died at age 62. Her soap roles included Sister Theresa on Days of our Lives, Maggie Brady in CAPITOL and Joan Diamond on BEVERLY HILLS, 90210. 2003: Michael Easton debuted as John McBain on One Life to Live. 2004: Actor Ron Hayes died at age 75. His soap roles included Phil Brewer on General Hospital and Hank Johnson in Dallas. 2012: Actor Eugene Smith died at age 86. His soap roles included Bill Bauer in Guiding Light, Steve Adler on The Edge of Night, Will Price in Somerset and Ed Berns on Another World. 2014: Billy Miller debuted as John Doe, later dubbed Jake Doe aka Jason Morgan, on General Hospital.